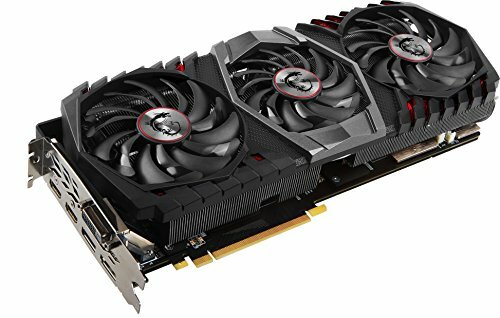 Awesome card, runs everything I throw at it at max settings 144 fps due to my 144hz refresh monitor. It is really big and hefty, but feels extremely well made and performs this way as well. I recommend getting a motherboard with strong PCIe ports due to size and weight. This is the biggest and baddest graphics I have ever seen. I will probably install the giant support that came with it. The graphics card is super duper fast. It will handle ANYTHING you throw at it. It is silent at idle but sounds pretty loud at load with 3 strong fans. 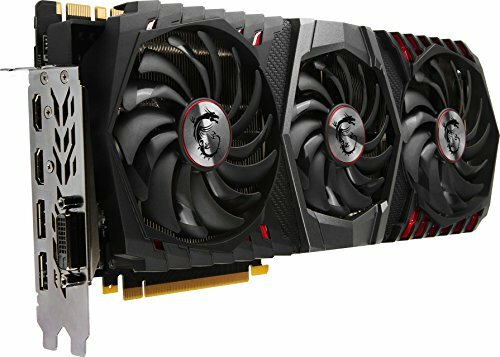 This I got off massdrop the week before xmas for $729 a great price for the best gtx 1080ti other than a Kingpin or MSI lighting. Its really silent and keeps cool. I have yet to go against a task that this GPU couldn't handle. I often play at downscaled resolutions due to my monitors only being 1080p 60HZ, using Nvidia Geforce experience to achieve the best quality to performance balance, and the Gaming X Trio handled this like a champ. It rarely passes 80% load even when streaming or screen recording using the card, and I have no doubts that if I upgraded to a dual 1440p monitor set up to replace my current dual 1080p monitors I wouldn't have to lower any of my settings. CAM software complained of high temperatures for this card for a while, however after altering the fan curve this is no longer an issue. My only complaint about this card is the weight - The card sags to the point of coming with a reinforcing bracket in the box. While I have no doubts that the card is durable, the triple fan design makes this a very beefy card, taking up 2.5 slots. The RGB lighting isn't as nice in the preset designs and a little bit limited through MSI Mystic Light, but it still gives a nice contrast when coupled with the Kraken to the case lighting and RGB strip. Stays very cool. Quite Heavy. Can handle a decent OC.